If you are looking for VIP Services, we are ready to support you and guarantee high-quality services, tailored to your needs, including luxury transport, personal assistant, accommodation upgrades, personal security etc. Whether you are looking to attract clients or having the annual team meeting we will help you to ensure everything goes smoothly, from the accommodation, flights, transfers, social programs, you name it! If you are going to be holding your award events in Portugal we can help you find the right providers for your awards and gifts. We can also produce the event for you. You can choose from a wide range of activities and social programs to ensure you make the most from your visit to Portugal. From a quiet tour to the Porto Wine Cellars to concerts, football games and team-building activities, we can provide a list of activities that suit your needs and offer some original and unusual options for the more adventurous. 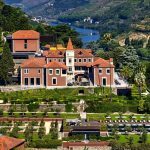 There is no shortage of 4 and 5 star hotels in and around Porto, with some truly stunning locations available. We also like to take our clients to unusual restaurants off the beaten track. Whatever your requirements, we will find something in Porto or northern Portugal to meet them. We have the right provider to your caterings needs, you can choose from a large variety from Portuguese specialities to international cuisine and at a range of budgets. 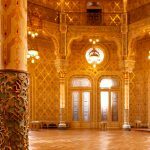 Even though a lot of Portuguese people speak English we can offer translation services to help you run your event including simultaneous translating in a broad range of languages. We will provide photo & video events suitable for publishing later on social media, websites or press releases. If you are looking for an on-site transmission, streaming or just assistance with presentations, we also have trained professionals ready to assist, whether you are organizing an event in Porto or anywhere else in northern Portugal. Our services include logistics coordination from experienced events managers that will be present to help you with any last detail.